In laboratory tests, iodine has been shown to kill cancer cells and it acts in the body to enhance the immune system in its search for rogue and pre-cancer cells. Indeed, iodine deficiency is known to cause pre-cancerous fibrocystic disease, which can lead to breast cancer. Iodine supplementation can maintain breast health; prostate cancer and colorectal cancer patients have also clear and recorded benefits from the supplementation of iodine.Radioactive iodine is used to identify thyroid cancer. Having correct iodine levels is essential in humans and a shortage can lead to fatigue and poor thyoid function. Breast cancer, prostate cancer and colorectal cancer patients have clear and recorded benefits from the supplementation of iodine. Iodine is an essential element in human biochemistry. It has antioxidant, antiseptic, antibacterial and anti-inflammatory properties, which are more than enough to help in the treatment of cancer. But iodine is increasingly being acknowledged to be anti-carcinogenic and have cell differentiation properties as well as being capable of causing apoptosis (cancer cell death). Think of iodine and most people think of the thyroid gland, and little else. Iodine is essential for the proper function of this gland. In cases of hypothyroidism (where typically the patient has low energy and tends to put on weight) the doctor MUST do a test to determine iodine levels before recommending treatment. Sadly, many doctors put the patient straight on to synthetic thyroxine supplementation. This is neglect. Two American doctors wrote to us saying that they always test for low iodine, and find it in 80% of cases - only rarely do they need to provide thyroxine supplementation. We have covered that synthetic thyroxine can be linked to increased levels of breat cancer. But women who haven't been tested for iodine deficiency run the risk of the double whammy - having low iodine AND taking something that can cause breast cancer! Go To: thyroxine supplementation and increased risk of breast cancer. Goiter incidence also has epidemiological links to breast cancer incidence. The thyroid produces several hormones, notably thyroxine and trilodothyronine, which control metabolism, growth and rate of energy consumption in all the cells of your body. Another hormone, calcitonin, controls calcium metabolism in the body. The thyroid is under the control of the pituitary gland, which is regulated by the hypothalamus. Radioactive iodine can be taken as capsules in order to identify problems in the thyroid, like thyroid cancer. The same transporting factors found in the thyroid enabling iodine to be taken up by the gland are found all over the body, in every organ and tissue at various levels. Higher concentrations of iodine have been found in the following tissues: Salivary glands, stomach lining, tear ducts, eye, brain, spinal fluid and skin. Most interestingly, the transporters are well concentrated in the placenta, and lactating mammary gland (both to feed baby) and in the ovary, uterus, pancreas and prostate. These include fatigue, headaches, muscle cramp, lowered mental capacity, brain fog, dry mouth, dry skin, brittle nails, loss of eyebrow hair, muscle pain, nodules, cysts, fibroids and fibromyalgia. One related ‘illness’ Hashimoto’s thyroiditis is very complex and self-help with iodine treatment is potentially dangerous. Recent studies have shown it to be clinked to Small Intestinal Bacterial Overgrowth or SIBO. But then 50% of people with poor thyroid function (Hypothyroidism) were shown in 2007 research to have SIBO. Levothyroxine seems to make matters worse according to a 2017 study. Your thyroid reduces iodine into iodide, which is used to build the hormone thyroglobulin. In fact, nowhere in the body uses iodine directly – it has to be split into its ionic form, of which there are two ‘varieties’. Natural sources include sea vegetables (like kelp, arame, wakame, hiziki and kombu), oysters, prawns, crab, mussels, sea fish, organic strawberries, cranberries, eggs, cheese and potatoes (especially in the skin). It is always best to steam your shellfish to avoid parasitic infections. Kelp provides by far the highest source of iodine – one serving can provide up to four times the RDA. The answer to that is ’It depends who you listen to’. The RDA is a very lowly figure – measured in micrograms. A number of health experts believe it to be totally inadequate. But there are also serious risks if you take too much. The RDA is 150 micrograms for adults, increasing to 220 for pregnant women and 290 for lactating women. To put this in context, research from Japan suggests their average dietary intake is 13.8 mg per day! About 100 times higher! A number of Western health experts believe that level should be recommended in the West as we have far higher cancer rates than the Japanese. The FDA has actually recommended a daily dose of 165 mg in case of a Radiation emergency such as a nuclear event. Clearly, there is a huge variation in daily levels recommended. The World Health Organisation estimates that at least 15 per cent of women in the Western World are deficient in iodine. Many experts believe that is a gross underestimate. Kelp is relatively easy to obtain in supplement form, but must be pure and mercury-free so it’s really not as simple as popping down the local store. A quality kelp from a quality supplier is crucial. This product will affect your hormones – don’t stint. Lugol’s oil, or solution: This has the two types of iodine that the body uses. Often used as an antiseptic and disinfectant, it is a source of free iodine and was used with people around Chernobyl after the disaster. It is made in different potencies – e.g. 1%, 2% and 5%. Nascent Iodine is the most bioavailable biochemically to the body. One, Ioderol, from Optimox is in tablet form, and is recommended to be taken with magnesium and vitamin C. Nascent Iodine is also available in liquid form. If you are already thinking of supplementing with Iodine, you may like to see what Natural Selection has to offer by clicking here. Bromine: Most common sources are pesticides and fumigants, plastic packaging, drugs, and soft drinks and baked products. Bromides are now added to flour; whereas iodine was added to bread prior to the 1980s. Fluoridation and chlorine: Both displace iodine in the body – so water supplies can deplete iodine levels as can a variety of in-home compounds from plastic packaging to toothpaste, mouthwash and flame retardants and perchlorates. Soil depletion: Iodine is a trace mineral. Soil depletion reduces its already low volumes. Declining consumption of iodine-rich foods like oysters, prawns, sea fish, eggs and iodised salt. To put iodine in context as an antioxidant, iodine is known to increase blood antioxidant capacity and to affect glutathione levels inside the cell. It is known to counteract free-radicals, and, in one study, was found to be 10 times more potent than vitamin C.
1. UNICEF is very clear – iodine deficiency during the early stages of pregnancy and in early childhood can lead to cretinism, stillbirth, miscarriage and even mild deficiencies can cause a ‘significant loss of learning ability’. 1n 2012 more than 35 million newborns worldwide suffered brain damage due to iodine deficiency. 2. Goitre (Goiter) is a swelling of the neck due to a thyroid gland not functioning properly. About 9 in 10 cases worldwide are due to iodine deficiency. However, Goitre can be associated with hyperthyroidism, or hypothyroidism. Goitre may also result from selenium deficiency or even cyanide poisoning, as seen in some tropical countries where cyanide-rich cassava root is a staple food. Goitre is more common among women. Pockets of goiter existed until recently in the Western world – for example in Derbyshire, England and around the Great Lakes and in the mid-West of America (Wikipedia). A folklore test for deficiency that keeps cropping up is to take some iodine and put drops on your skin. If the colouration disappears in under 12 hours you are deficient. 9. The cure for all ills? The internet is full of people who tell of how iodine supplementation helped them rid their body of cysts, fibroids, fibrocystic breast tissue, bladder infections, Morton’s neuroma, endometriosis, tonsillitis, dry skin, dry hair, cracked nails, diabetes and more. Iodine has substantive research to support its use in chronic problems with the airways (1). In laboratory tests, iodine has been shown to kill cancer cells and it acts in the body to enhance the immune system in its search for rogue and pre-cancer cells. Indeed, iodine deficiency is known to cause pre-cancerous fibrocystic disease, which can lead to breast cancer. Iodine supplementation can maintain breast health. Three clinical trials confirm this (2). Dr. B.A. Eskin published more than 80 papers over a 30 year period showing that iodine deficiency was linked with an increased risk of both breast and thyroid cancer (3). In rats, a group allowed free access to iodine had 37.5% less breast cancers than the group without such access. In another Eskin study, this time with Stoddard, iodine was shown to inhibit the binding to oestrogen receptors and affect 43 genes involved in cell growth. Eskin showed that iodine altered gene expression and effected apoptosis (4). Thyroid disease is associated with an increased prostate cancer risk (5). Iodine is concentrated in the prostate and is linked to the health of the organ. Research has shown that prostate cancer cells take up iodine easily and it can cause apoptosis (2). Known to clear lung and airway congestion and even aid asthma sufferers, several studies have shown that supplementary iodine can increase apoptosis of lung cancer cells. Iodine has been tested with numerous cancer cell lines such as gliomas, pancreatic cancer and lung cancers. Studies have shown that iodine can inhibit growth and spread of cancer cell lines in vitro. People with Goiter are more than twice as likely to develop colorectal cancer as those without the disease. A bile component, arachadonic acid, is known to be linked to an increased risk of colorectal cancer. Iodine can bind to, and neutralise, this acid. In the case of stomach cancer, urine samples showed that 49 per cent of patients had severe iodine deficiency (6). 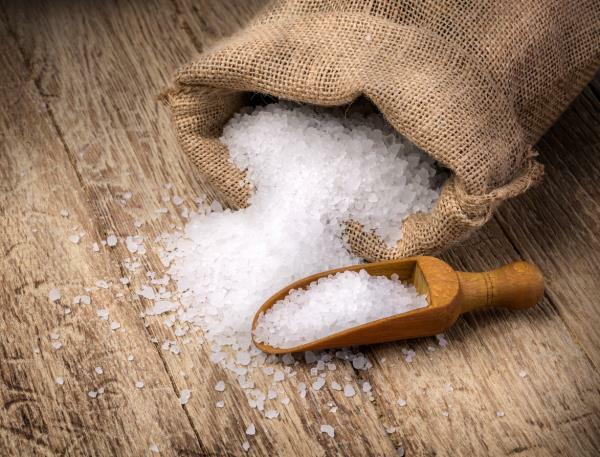 In an epidemiology study, the use of iodised salt in Poland resulted in a marked decline in gastric cancers (7). Iodine deficiency, thyroid performance and cancer - there is something here, definitely. But quality research is often circumstantial, and mainly with animals and/or in vitro. There is a clear disagreement on how much you should take, with health experts such as Dr. Guy Abraham recommending we all adopt Japanese levels. Certainly, if you have cancer it would be well worth ensuring you have an adequate intake. But then many minerals, especially trace minerals seem in short supply in cancer patients. It is important to note that on the Internet there are vast numbers of anecdotal stories of how increasing iodine levels overcame all manner of illnesses, including cancer. Frankly, far more than with any other ‘health compound’ – be it B17 or vitamin D.
I think it might be worth having your thyroid checked if you have cancer, and if you intend to take Nascent iodine, Ioderol or Lugol’s solution, you should have your thyroid regularly monitored. Another thing seems to be the belief 'Once on synthetic thyroid hormone, that's it for life> We have seen several people wean themselves off it recently. "If you are already thinking of supplementing with Iodine, you may like to see what Natural Selection has to offer by clicking here." 2. Nicola JP, Reyna-Neyra A, Carrasco N, Masini-Repiso AM. J Physiol. 2012;590 (Pt 23):6013-26. 4. Stoddard FR 2nd, Brooks AD, Eskin BA, Johannes GJ. Iodine alters gene expression in the MCF7 breast cancer cell line: evidence for an anti-estrogen effect of iodine. Int J Med Sci. 2008;5 (4):189-96. 5. Hoption Cann SA1, Qiu Z, van Netten C; Nutr Cancer. 2007;58(1):28-34. A prospective study of iodine status, thyroid function, and prostate cancer risk: follow-up of the First National Health and Nutrition Examination Survey. 6. Behrouzian R, Aghdami N. Urinary iodine/creatinine ratio in patients with stomach cancer in Urmia, Islamic Republic of Iran. East Mediterr Health J. 2004;10:921-4. 7. Golkowski F, Szybiski Z, Rachtan J, et al. Iodine prophylaxisthe protective factor against stomach cancer in iodine deficient areas. Eur J Nutr. 2007;46(5):251-6.